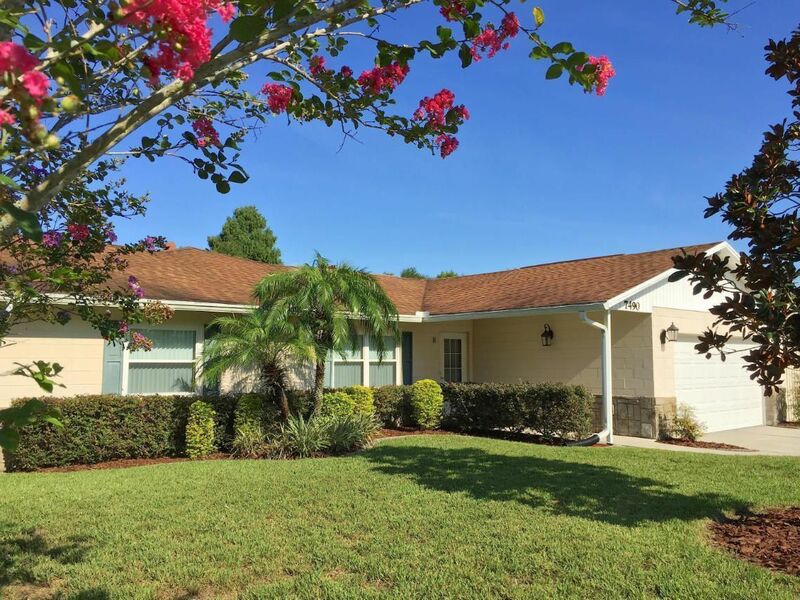 This traditional yet stylish 3/2/2 home w/ office has all the essential upgrades that makes home at 7490 Betty Street in Winter Park MOVE IN READY! The Dining Room is bright & open with Monticello 20″x20″ tile leading you straight into the inviting kitchen. Kitchen space has been transformed with Modern Maple Spice Cabinets, unique molding & shelving space surrounding the newer black appliances. Venetian Gold Granite countertops expand the entire space along the breakfast bar for additional seating. Along the opposite wall, the refrigerator is positioned between custom cabinets for pantry-like space & built-in desk. The Bay Window & the French Doors in the Family Room overlook the almost 1/4 acre backyard. Layout: Split bedrooms & French Doors to office tucked behind family room. Lower electric bills from the: 15 SEER Variable Speed A/C, Digital Thermostat, Double Pane Windows & blown insulation in the attic. Features you will Love: re-plumbed, sprinkler system, alarm system, knockdown ceilings & solar tube in 2nd bath. The 12’ x 35’ Screened Enclosed Covered Patio was added for cozy conversation space overlooking the backyard under the insulated roof. Enjoy the outdoors in the lush green backyard with a BBQ overlooking the tree views. The shed offers additional storage – plus, it is pre-wired with electric to be transformed into a workshop. Excellent “A” rated Seminole County schools!